GKN has made components arts using AM for aerospace and automotive. 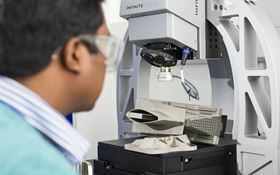 Global aerospace and automotive engineering Group GKN has formed a new brand for its additive manufacturing (AM) activity. GKN Additive will act as the focal point for all AM activity in the future, the company says. GKN has made components arts using AM for aerospace and automotive. It is also a powder producer through its Powder Metallurgy division.